Tapas and canapes are coming to Poblacion! 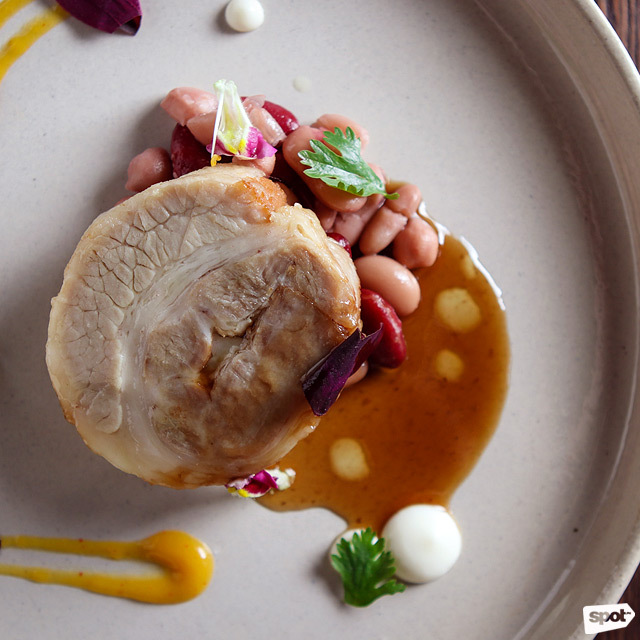 (SPOT.ph) The closure of tasting-menu restaurant The Goose Station back in 2016 marked the last of Chef Rob Pengson and his then-partner Chef Sunshine Puey's string of excellent restaurants. Chef Rob then took a well-deserved hiatus from the local food scene, but he is now back with a bang, opening not just one, but three restaurant concepts, all under one roof. Your only clue to Beso Beso's location is this neon sign. 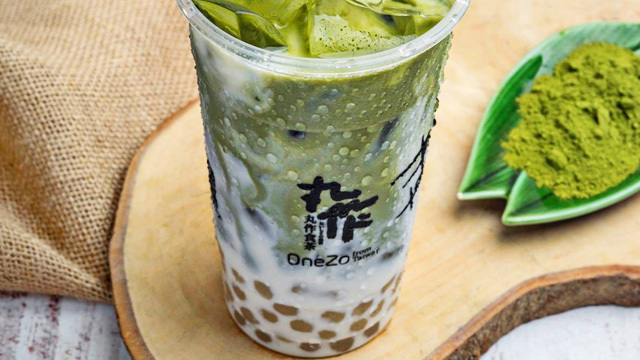 The two-story building, located along P. Guanzon Street in Poblacion, looks like any regular house—but it is actually home to modern carinderia Esqinita, a modern tapas place called Beso Beso, and soon, a steak-and-sushi joint named Izakaya Motto. The three will share not only the same building, but the same kitchen, too. Beso Beso shares kitchen space and the bar with two other concepts by Chef Rob Pengson. 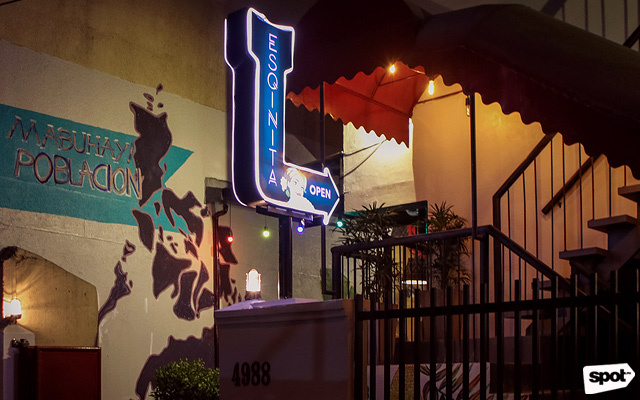 Esqinita opened on April 4, and Beso Beso will follow soon after, with the restaurant offering a pop-up menu before their grand opening. So named because of the culture of intimacy that Europeans and Filipinos share, where kissing (or beso) is seen as a sign of affection and respect, Beso Beso's menu is inspired by the commonalities between the cultures, offering pica-pica, small and big plates, and affordable tasting menus priced at P1,500 and P2,500. 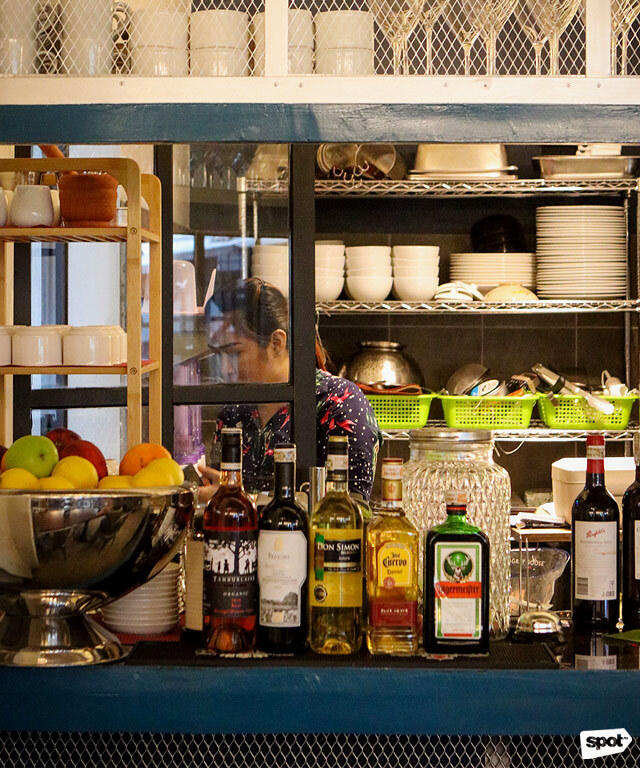 "It's a European concept disguised as a tapas bar," says Chef Pengson. 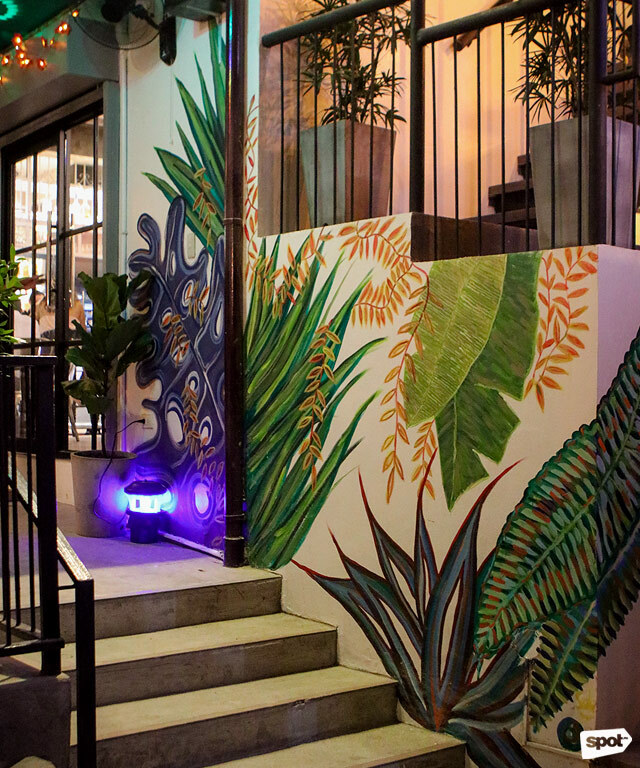 The colorful murals on all sides of the compound add to the hip vibe. Combining various European influences is a daring approach, something the chef hopes will intrigue the tastes of the Poblacion market. What sets Beso Beso apart from other tapas places is a tendency to mix French and Italian tastes with their tapas offerings, so expect their menu to have uni truffle pasta, foie gras, and tapas that include canapés and other hors d’œuvres. 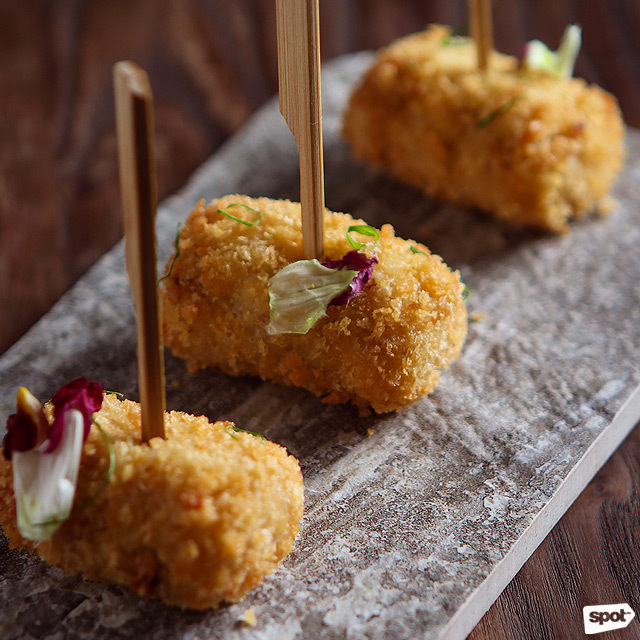 The Pork Trotter Croquettes have a delightful contrast between crispy and butter-soft. 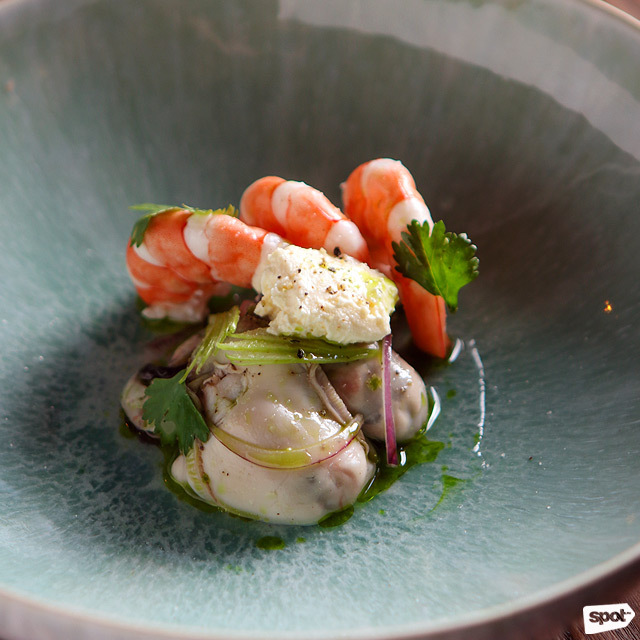 You can also have the Oyster Ceviche with fresh, tender shrimp. The menu is yet to be finalized, though a sampling of Chef Pengson's creations promises a dining experience that defies expectations. Diners can enjoy pica-pica such as Pork Trotter Croquettes, bite-sized, crispy-fried goodies that pack a flavorful punch. The Oyster Ceviche is a must-try for adventurous palates, with a burst of lime toning down the oyster's briny taste. 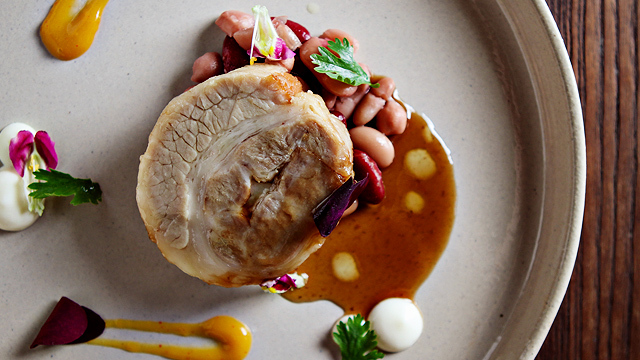 Different sauces give the fork-tender cochinillo a pop of color—and flavor. Though Beso Beso's highlight will be their tasting menus, diners can still enjoy à la carte offerings such as the Cochinillo, with fork-tender crispy pork belly laden with a delightful mix of sauces like mustard and hoisin to perk up your taste buds. 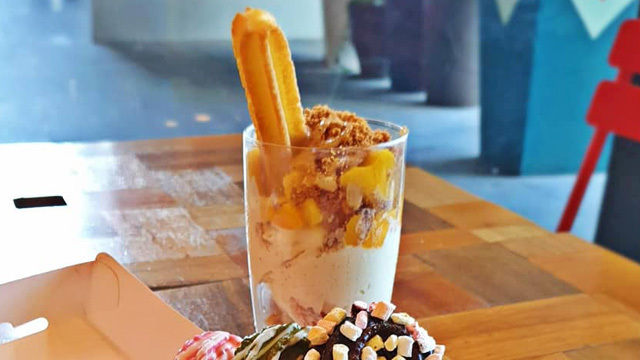 At Beso Beso, Chef Rob shows that he’s not afraid of experimentation, going out of the box in ways some of his contemporaries might not have even thought of. "This started out as a case study where we wanted to come up with an economically viable model for a restaurant," the chef, who also runs a business management school for restaurateurs, explains. Observing that more than half of local restaurants—60% to be exact—fail to make a profit, he decided to experiment with having one kitchen and staff for three restaurants as a way to maximize an establishment's earning potential while keeping costs to a minimum. Whether this experiment will work remains to be seen, though the dishes you're likely to get when you visit would make it difficult to think it won't.